Jon Snow is the presenter of Britain’s award-winning Channel 4 News. 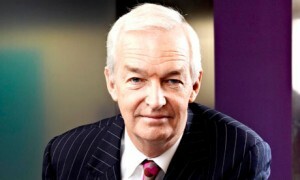 Jon has also hosted a wide range of discussion programmes and a number of high-profile documentaries for Channel 4, including the War on Terror Trial, Bloody Sunday Debate, Snow in Japan, The Emillionaire Show and Secrets of the Honours System. Jon was presented with the prestigious Richard Dimbleby Award for his outstanding contribution to the world of news and current affairs at the 2005 BAFTA Television Awards, and he was named Journalist of the Year at the 2005 Royal Television Society TV Journalism Awards.